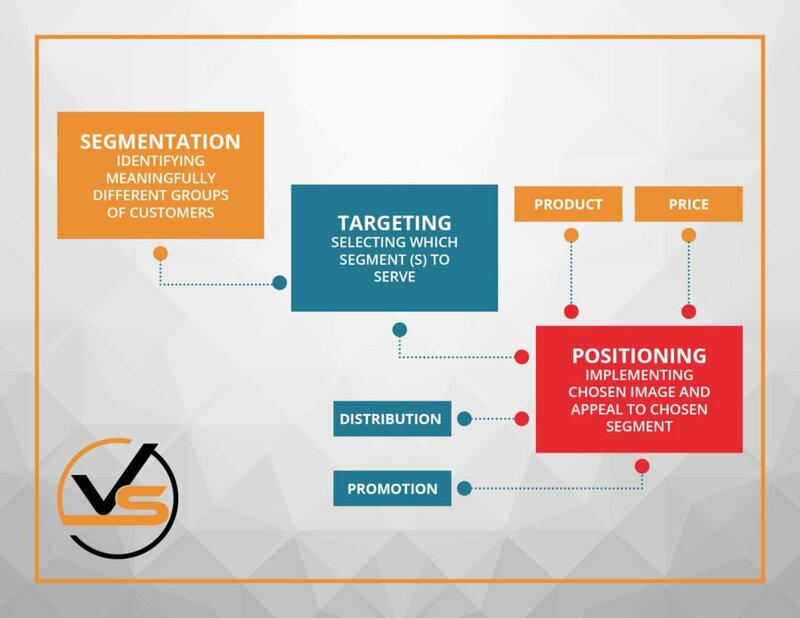 Targeting entails choosing which segments to target and devising marketing tactics (and product improvements if needed) to satisfy those segments. Segmentation is kind of like a map; it provides routes to get to where you want to go. Targeting is the journey you take when utilizing your map. Segmentation is about the market, while targeting is about strategy and what you do with that market. Targeting focuses on your brand and how you can grow the fastest while using the fewest resources. What does targeting look like in real life? So, let’s say that as a result of your market research, you identified a segment of baby boomers who consider quality extremely important. They have refined taste and they hail from affluent neighborhoods. When targeting this segment, you may want to think about focusing more on product quality and using media and graphics that speak to a more refined buyer. Maybe you feel that your product quality can be improved as well to satisfy this segment’s needs. This is an elementary example, but it explains how targeting relates to segmentation and how it can help you connect with customers better. If targeting segments is so right, why is targeting more than one segment so wrong? In our segmentation article, we explained that segmentation is kind of like cutting a pie into pieces (or segments) and targeting is handing the pieces to your guests. Just because you cut the pieces doesn’t mean you should eat every one (unless you are that overindulgent pants destroyer). Choose which piece of the pie to eat (or target with your marketing) and discard the rest (don’t worry, it’s going to be okay)… or save pieces for later when you have more capacity to eat (target) them. 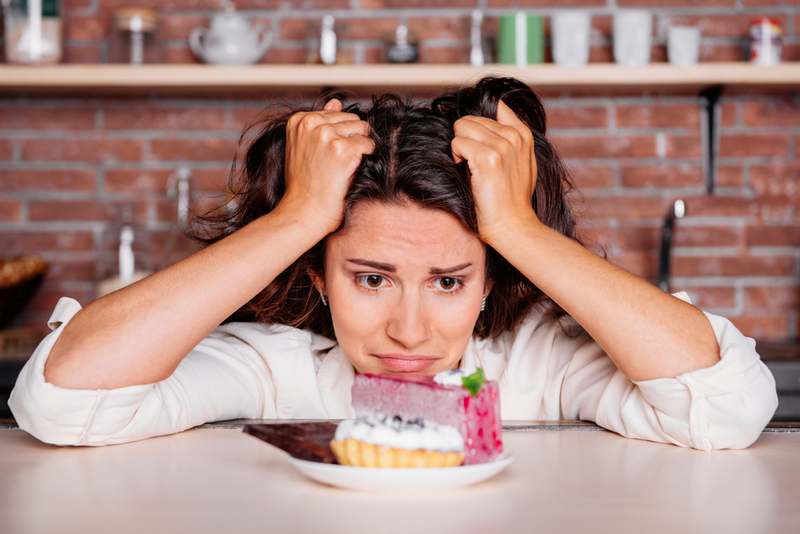 The problem is that we gluttonous marketers often can’t resist a second piece…and a third…and maybe a fourth. It’s tempting to target more than one or even ALL of your market segments, but doing so can be disastrous. Why not target all of your segments? Just because all roads seem worthy to be traveled doesn’t mean you should take them all. Sometimes it’s what you don’t do that moves the needle the most. One of the reasons why we recommend targeting one segment is, well, it’s just plain easier. Once you target a second segment, you add a completely different market, which entails making a lot of changes. We know it’s going to be tempting to target more than one segment, but here are some reasons why targeting only one is easier and may be more lucrative. Resource constraints – As discussed, you likely have limited resources, so you won’t have enough to go after every segment. Value asymmetries – What if one segment buys more than the other does? It makes sense to target the segment that will bring in more money. It’s been said that 60% of profits come from 20% of consumers. Customer positioning – It’s difficult (if not impossible) to position to all customers, as one position could never satisfy multiple segments. The key here is to get specific in your positioning. If your positioning is more general and your content appeals to more than one or a few segments, your message will be blurred, and in trying to appeal to all, you will have appealed to none. Competitor positioning – One of your competitors will most likely be targeting each segment, so staying focused on one segment will allow you to build your competitive positioning and make it stronger. We recommend focusing on one segment until you’ve exhausted it. Invest your resources and dollars into this one and then, as you increase your resources, target a second. Choosing your ideal segment to target will require some analysis. You are looking for the segment that has the most potential yet requires the smallest resource investment. Let’s go over some criteria you can use to make your decision. Note that if you have a small business, we recommend focusing on the segments that will bring you the most profit. If a customer likes your brand and trusts you enough to buy from you, getting more of the same customers is ideal. Always factor profitability into your choice. As we just mentioned, always consider the potential value of a segment. Which segment will result in the most profits? When evaluating other criteria, balance them with profitability. Target segments in which consumers aren’t afraid to spend and the market is in a forward trajectory with the number of potential buyers increasing over time. The segment should be large enough to become profitable but not too large that the people are not similar enough to be classified as a true segment. If you did your segmenting correctly, then you only have to be concerned that the segment is large enough to be profitable. Do some mock conversions/sales calculations with the number of people in your segment to determine if targeting this one segment can result in a positive ROI. Your current market share tells you how much of your segment you have penetrated. This will help you determine when it’s time to target the next segment. If you have already penetrated a large share of a segment, it may be time to move on—as long as a competitor has not moved into your territory and started to take over your share. If so, and this is your most successful segment, staying put may be the best course of action. Does your product satisfy the needs of that segment? Does it fit their lifestyle? If there is no product-market fit, don’t waste your resources targeting it. Also, check the competition targeting the same segment. If there are many competitors in the space, evaluate your profit potential. Often the segments with the greatest profit potential are the most saturated with competition. Some consumer characteristics from one segment will overlap with another one since one segment can influence another. This is referred to as spillover. As an example, if your house has a detached garage and it represents a segment, it still may be a part of your house, but you cannot get to it without leaving your house (no spillover). Yet if you go inside your house and you start with your kitchen as a segment, you can easily access your living room (spillover), even though the two are still distinct rooms. When choosing a segment to target, look for spillover or classes of characteristics that intersect across the segments. Looking at consumers in more than one dimension like this will help you target more characteristics and preferences while still staying focused on one primary segment. Are You Bringing Your Segments to Life? Once you properly segment and consider which segments you are targeting, you should be able to pinpoint with accuracy who your segments are and how best to target them. Since your targeting strategy hails from your segments, at this stage you should be able to paint a clear segment portrait. Who is this customer? Specifically, what are their physical, psychographic, demographic, stage-of-life, and geographic characteristics? What do they currently think? This refers to their behavior: product preferences, usages, purchases, and spending habits. What do they currently do in the category? This can refer to how loyal your customers are to your brand. How well do they engage with you and repeat purchase? What turns them on? What are their likes? What lights them up and triggers them to make a decision? What turns them off? What are their dislikes? What factors make them disengaged and closed off? What do they avoid at all costs? When reviewing your final segments, we recommend making sure they are not overly positive. It’s just as important to know what your target hates as it is to know what they love. Understanding their objections and what turns them off can help you better target your messaging and also make product improvements that satisfy their behavior and preferences. 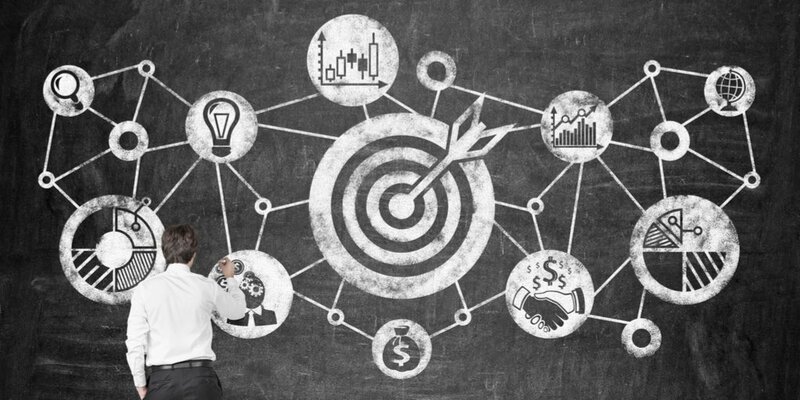 If you are confused or feel like you need to brush up on some marketing strategy principles, take a look at our recent articles below on marketing strategy to pull it all together. We lay the foundation of how to approach marketing and conduct market research so you can accurately choose and target segments. Start with learning about market orientation and then conducting market research. Next, move to segmentation and then targeting. And as always, we are here to help if you need it. Stay tuned for additional information about market positioning.